*The museum, like all art museums, has way more material than it can possibly display at any one time. The storage area, however, is behind glass where you can actually see the holdings in storage on a rotating basis. *We were immediately invited back within a few days for an opening of an exhibit of artist John Steuart Curry’s works from the 1940s. This event had live music, refreshments, some baby farm animals in the parking lot and a very interesting exhibit of works. We attended the event and we had a very enjoyable time – all for free! I was quite impressed that my glass of wine ($4) was served to me in an actual glass wineglass. This seems more and more rare as we are usually drawn to the convenience of disposable plastic for such events which, in my opinion, spoils the wine so then I pass. Kudos to MOWA for putting on such a great opening while being both environmentally friendly and food-snob friendly at the same time as they provided enjoyment and education. 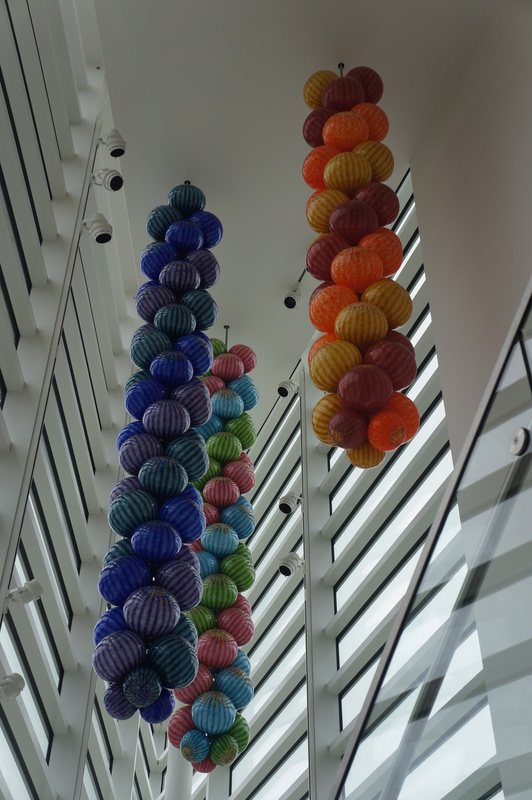 If you have occasion to get to West Bend, Wisconsin, about 30 minutes north of Milwaukee, I would say a visit to the Museum of Wisconsin Art is definitely worth the stop. If you live in the area, it’s quite a boon to be able to enjoy it all year for the one-time fee. For those of you coming in to the state to see the Calatrava architecture at the Milwaukee Art Museum, a little jaunt north would be a nice addition to your trip!